Welcome to gamblisfx.com. Today we are going to review some free online PDF Converter. For you who working with PDF format and other documents, you may often dealing with document conversion. For example, you have a PDF file but your client want it in DOCX format. Well there are many free and paid software that can do the conversion. In case you don’t have any software, or you may working with your Android phone or iPad, you need the online PDF Converter. 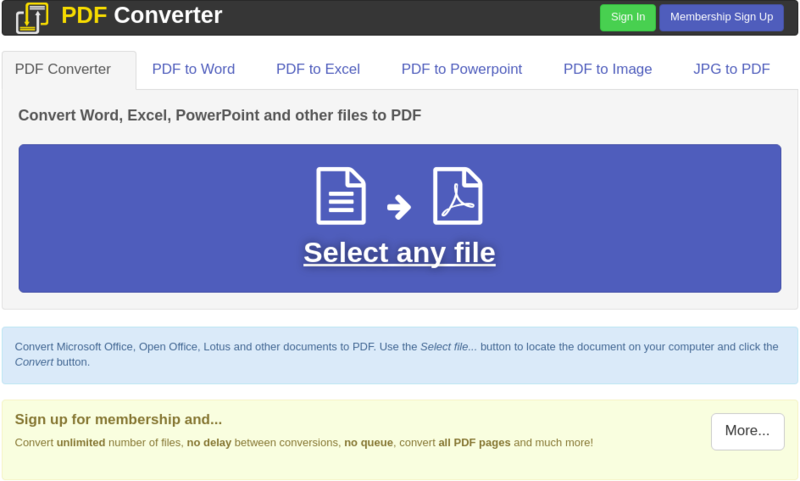 What is Online PDF Converter? Online PDF Converter is an online service that provides PDF conversion. Whether it is free or commercial version, the online PDF converter does not requires special software to install on client side. Usually users need to upload their files to the website of the provider. The conversion process is done on the remote server. When the conversion is completed, users can download the file for further use. Well, we tested many free online PDF conversion service and below are the summary of them. 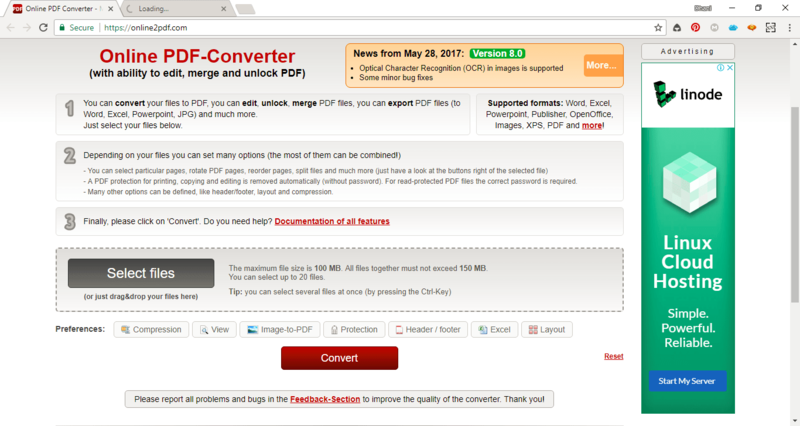 We pick 7 best free online PDF Converter for you. We personally love this FreePDFConverter, a free online PDF Converter that supports most popular office formats such as Word, Excel, PowerPoint and Image file. The user interface is clean without any annoying ads. FreePDFConverter also offers premium account which provides some additional features. Online2PDF is another free PDF Converter. Online2PDF has more features compared to others in this list. Beside the file conversion, this Online2PDF offers other free service such as edit, unlock and merge PDF. Also, the new OCR (Optical Character Recognizing) feature is available. With this feature, we can convert an image to editable file such as Word. 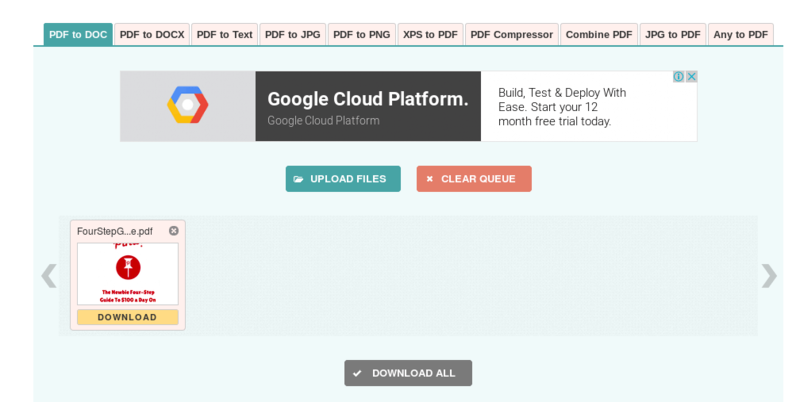 Online2PDF supports PDF file size up to 100 MB and we can load up to 20 files at once. PDF2Docx is a free PDF to DOCX Converter that allows us to upload and convert up to 20 PDF files at once. We can use the upload button or simply drag and drop the PDF files to the web interface. We can download the converted files at once on download separately. During our tests, PDF2DOCX can convert the PDF documents without problems. The user interface is so so but we don’t have any problem with that. The drag and drop feature also works pretty well. There are different tabs on the main window. One thing that I could not find on PDF2DOCX is the conversion between PDF and EXCEL or vice versa. Since these two formats are very popular, it is a question mark why the do not include it. In number four we have Topdf, another online PDF converter that works pretty fast. TOPDF supports several conversion such as: PDF to DOC, PDF to DOCX, PDF to Text, PDF to JPG, Combine PDF and Any to PDF. Topdf supports bulk conversion. During our test, this online pdf tool works pretty fast. It can immediately convert Word document to PDF in no time. 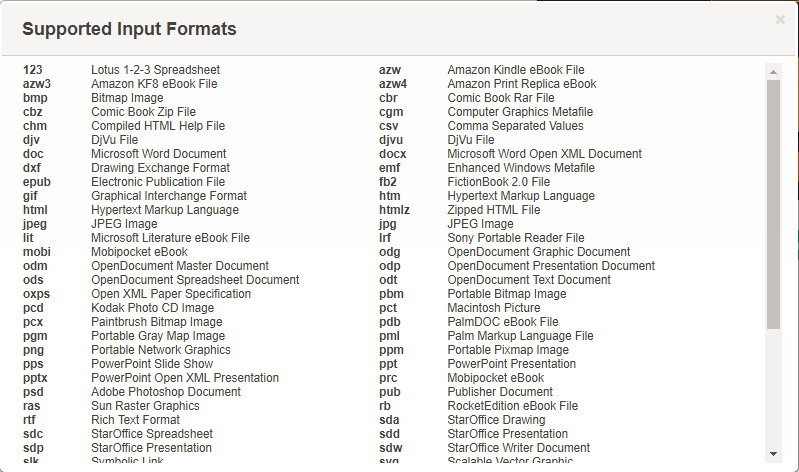 Topdf supports many input formats. There are more than 50 different formats. At number 5 we have DocuPub Document Converter. This online service offers some free services such as Document Converter. The good thing about DocuPub is that we can choose the output resolution and also compatibility mode. But, it does not support bulk conversion. Compared to other services in this list, the DocuPub Document Converter seems the most professional online pdf converter. Output resolution control is a great feature we need on an online pdf converter. We don’t want our output file has a bad resolution.